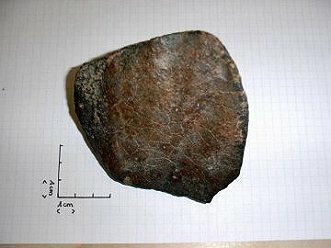 Remarks : This meteorite contains lots of metal and is very fresh. Despite a high metamorphism, its structure shows some remaining dark chondrules. 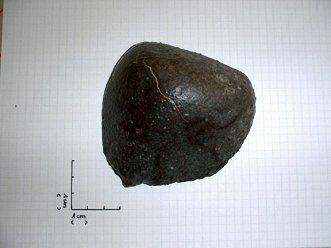 view of the structure showing the freshness and high native metal content of this meteorite. 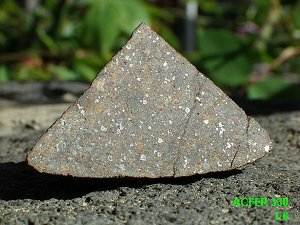 some chondrules with quite sharp boundaries are still present.